Ha Giang has something in common with most truly awesome places; it is just hard enough to get to that it has withstood the ravages of time. Adventurers go trekking in Sapa in pursuit of indigenous culture and cascading rice fields, but they instead might find a once charming French hill-station town that has made disappointing backslide into a disorderly tourist hub. 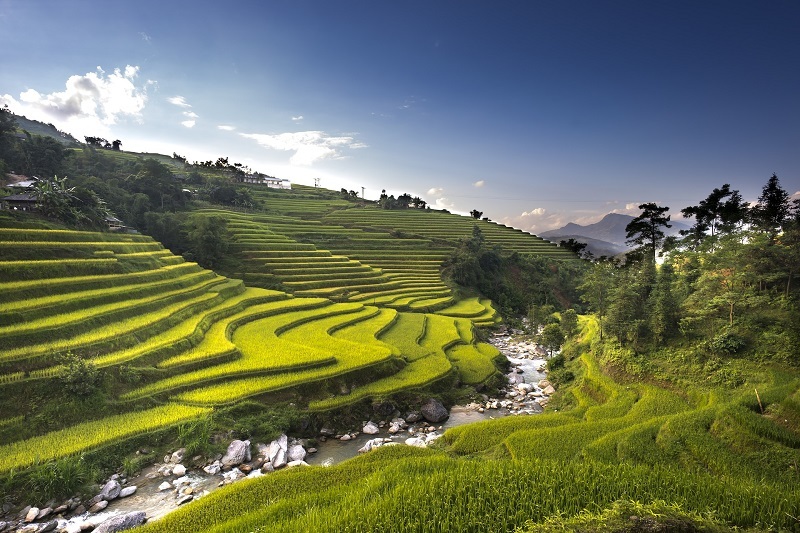 Of course, trekking in Sapa is popular for a reason – the region is nothing short of stunning. But what if you could experience an alternative to Sapa with similarly spectacular views and fewer tourists? Let me show you Ha Giang. With pine forests, granite mountains, quiet farming villages, and heavenly views in every direction, Ha Giang is like an illustration of how nature can flourish when unsullied. The trekking routes in Ha Giang fall far enough from the tourist circuit, so you can wander the mountains of Ha Giang uninterrupted for days at a time. Local interactions are based on mutual curiosity rather than commerce. How does that sound as an alternative to trekking in Sapa? Make no mistake that traveling Ha Giang is a pretty rugged trip. Sharing a border with China, Ha Giang is the northernmost point in Vietnam, and often referred to as the final frontier. To put it simply: it’s way the hell out there. There are plenty of ways that your plans can fall through the cracks along the way. You won’t have nearly as many options for accommodation. Dining will be basic. It’s very possible that your trekking guide won’t speak much English. But those are the same things that make this an adventure and completely worth the effort. Avoid the crowds and the hassle of Sapa and go trekking in Ha Giang instead. Sure, it’s a little rough around the edges, but in all the best ways. If you’re seeking something further off-the-grid than trekking in Sapa, here’s everything you need to know to plan your trekking trip in Ha Giang. How to go to Ha Giang? You can get from Hanoi to Ha Giang by bus, motorbike, or by private transfer. By Bus: You can catch a bus from Hanoi to Ha Giang at My Dinh station. The trip will take about 7 hours and should cost no more than $10. I hilariously ended up on a daytime bus with beds instead of seats, so the journey was bumpy but comfortable enough. By Motorbike: It’s not uncommon for travelers to explore Northern Vietnam by motorbike. If you’re the adventurous type, perhaps there’s no better way to get to Ha Giang. You’ll get some of the world’s most spectacular views along the way, and enjoy more freedom than you would on a bus or an organized tour. By Private Transfer: If you book a Ha Giang tour that begins in Hanoi, it will usually include minibus transfer. While this is the most expensive option, it is without a doubt the easiest way to get to Ha Giang. Ha Giang experiences two main seasons: the rainy season from April to October and the dry season from November to March. Apart from these seasons, Ha Giang offers a different perspective at different times of the year. For example, if you come between January and March, you will see the hills and mountains come back to life after their winter sleep. Peach and plum blossoms add dots of white and pink to the green hills, making for a wonderful view and beautiful scent. In April, you can catch the Khau Vai Love Market, a special event which happens only once a year. On this day, vendors from all around the province come to sell their products in a flurry of color. Check when exactly it is this year as the exact date depends on the lunar calendar and changes every year. From May to July, farmers irrigate their rice fields which turn a rich vibrant green as a result. Get ready for some postcard-worthy shots during this time of year! In September and October, the rice ripens in the fields and is almost ready for harvest. At this time, the paddies turn yellow and weave through the mountains like golden ribbons. November brings buckwheat blooming season. This is when the small, pink flowers in the fields create a beautiful contrast to the grey mountains and green forests around. 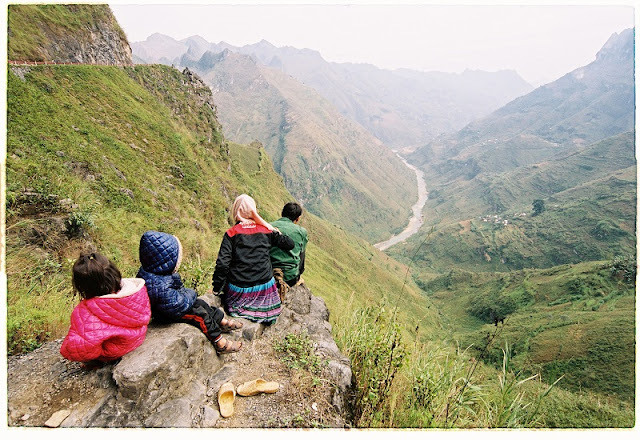 Curious about going to Ha Giang trekking to explore Vietnam’s last frontier? Hopefully, our stories about this province’s beauty, unspoiled nature and incredible charm have given you some ideas of what to see and do in Ha Giang. Whether you want to see amazing landscapes, meet wonderfully friendly locals or try foods unique to this neck of the woods, Ha Giang is a must if you want to get away from the crowds and experience the real Vietnam.